Truck Scan App - This is a unique tool to correctly record all the details that determine the value of a truck. Do you want to be able to switch quickly and make the best choices to sell, re-use or repair a truck? Whether you want to handle a contract or you have to deal with a driver’s change, recording the condition of the truck must always be done quickly and in one go. Create a digital report quickly with the help of this specific inspection app. With this digital description, you can immediately make important choices. You simply start the progress of the process of re-use, driver change or sales. You avoid discussions about damage by always showing your descriptions in the same qualitative way. Most of the listed losses are provided with an advice-repair and an assessment of whether the damage is recoverable. The lot-time of a truck influences the return so much that you want to have all the information quickly and distribute it to interested parties. 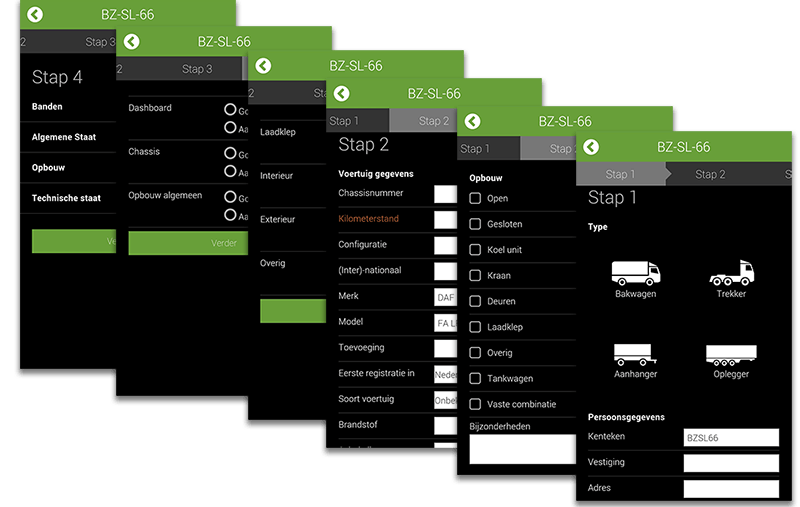 In the Truck Scan app report, all relevant information is recorded immediately. This prevents surprises, which will appeal to every potential buyer. This way you can easily bind a fixed and active buyer group and keep everything transparent. External parties that draw up inspection reports for trucks charge considerable amounts. The Truck Scan app brings the benefit of ‘do it yourself’ directly. 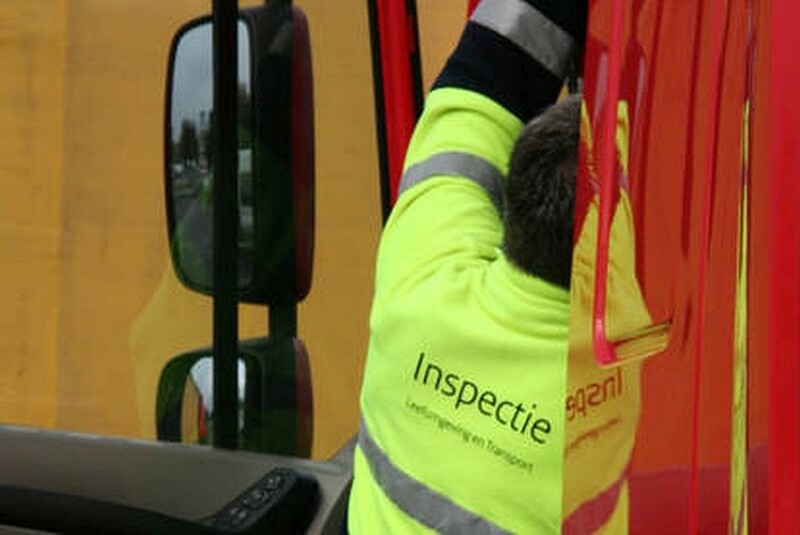 You certainly save € 100,- per inspection! When you use the Inspection platform, you can manage the data from the Truck Scan app and forward it to other systems you work with. With a good report that you can share digitally, you hardly have any costs and a lot of convenience when you want to sell the truck. Look at the Remarketing platform or Remarketing Pro platform how to reach the right buyer group. The clear routing means that you do not forget any important details. With the in-app camera you can take the right photos. Experienced inspectors have determined te routing in the app, you profit from that! This is a unique tool to correctly record all the details that determine the value of a truck. With the reports you make with the Truck Scan app, you are in charge of claims handling, valuation and resale. 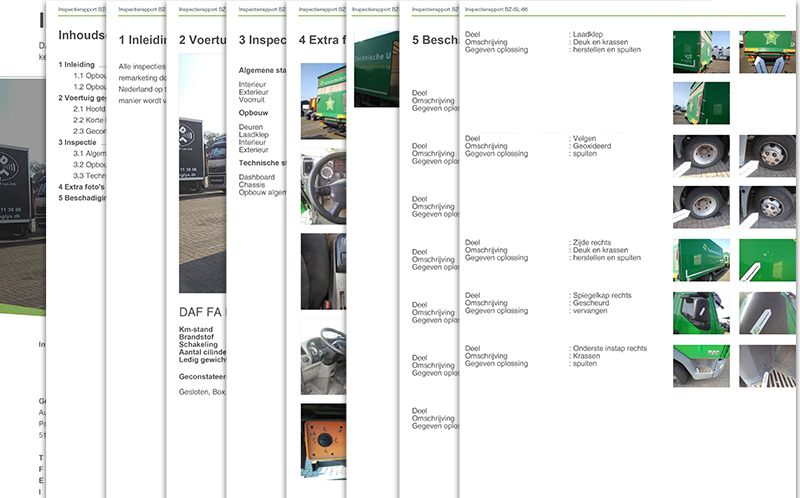 You easily make high-quality inspection reports of trucks (above 3.500 kg GVW). The app can be linked with with the Inspection platform and Remarketing platform. An option is to link to a so-called reversed auction. Here you can have different providers bid in reverse order, namely lower and lower. The reversed auction can be used on the basis of time and/or money. Our customers use the reversed auction to buy sharper damage repairs and to obtain shorter repair periods. Save and/or earn, that’s what it’s all about. With the Truck Scan app you can start today! Record the state of a truck yourself and do not overlook any valuing matters. The extensive and precise routing helps to draw up a report on the basis of which you can continue to act. Inform others about claims handling, sales or valuation. check Unique in the ‘truck world’! Enter your details to download te Truck Scan app White Paper and/or for more information.